PDM Services Ltd. is a consultancy company operating in the fields of sustainable development, conservation and restoration of the environment, sustainable forestry, organizational development and capacity building. Conduction of analysis, assessments and feasibility studies, project development and implementation, development and evaluation of strategies, plans and programs, preparation and conduction of trainings and team building events, provision of specialized services related to Geographic Information Systems (GIS), production and trade with forest reproductive materials. Sustainable development, environmental protection and biodiversity conservation, ecosystems and protected areas management, sustainable use of nature resources, environmentally sound agriculture and forestry, ecotourism, combating of climate change and desertification, regional development, strategic planning, development and utilization of information technologies, organizational development and capacity building. PDM Services is in the process of finalizing social impact assessment of operations of 8 State Forestry/ Hunting Enterprises (SFE/SHE) working under the control of Regional Forest Directorate “Plovdiv” including – SFE Plovdiv, SHE Trakia, SHE Kormisosh, SFE Asenovgrad, AFE Parvomaj, and SFE Karlovo, SFE Hissar and SFE Klissura. The map was developed by PDM Services Ltd. under public procurement procedure entitled Mapping of Fishing Area “High Western Rhodope – Batak, Devin, Dospat” and development of on-line database with interactive map. The interactive map was developed by PDM Services Ltd. under a project implemented by Novo Badeshte za Dospat Association with the financial support of Operational Programme for the Bulgarian Fisheries. 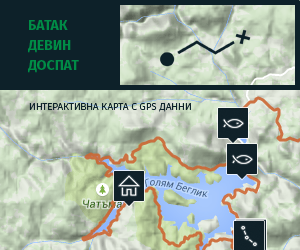 The website contains information for the most popular tourist routes and sites on the territory of FLAG High Western Rhodopes: Batak-Devin-Dospat together with GPS data for all objects available for download. PDM Services Ltd. is certified by the Executive Forestry Agency at the Ministry of Agriculture and Food for the production and marketing of forest reproductive materials of national and international level. Our team experts hold licenses in various fields including forestry, FSC forest certification, work with specialized GIS software, environmental impact assessment, tourism, etc. © PDM Services. Some rights reserved.